Join Know The Ledge Radio as we welcome back "The Qabalah God" AA Rashid for a powerful presentation. As the saying goes, "the more things CHANGE the more they stay the same" so in honor of this current cycle in time, 2012, Bro Rashid will jump in the DeLoreon and take us Back to the Future! 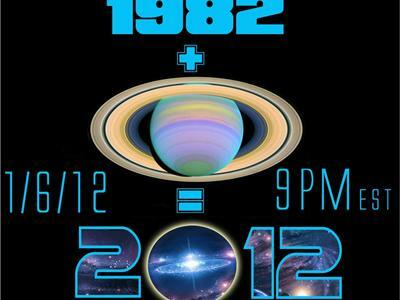 Is 2012 a mirror of 1982? What do the two have in common? And what part does SATURN play in all of this? Is there a psychological Kabbalistic connection? Tune in and hear the science behind the 30-Year Itch and what it can possibly mean to you.